For this edition of the Top 5 Movie Guide, with this weekend's upcoming release of "Red Lights", we decided to take a look at some of our favorite films from one of its stars, Robert De Niro. As many of these posts start out, De Niro took huge risks to become an actor, but at this point, we can easily say that it all paid off. Unlike many though, De Niro knew he wanted to be an actor when he was only 10-years old. After portraying the Cowardly Lion in a school adaptation of "The Wizard of Oz", he was hooked. From there on out, his favorite reading materials were those from playwrights and screenwriters. And ultimately, at 17-years old, before his senior year of high school, he dropped out to attend Stella Adler's Acting School. De Niro gained quick notoriety for one of his first roles in the film "Bang the Drum Slowly", but it was the film he appeared in later that year, "Mean Streets", that would propel his career to new heights. The film was directed by up-and-coming director Martin Scorsese. The two met at a party a few years prior and realized they grew up just blocks from each other without ever actually meeting. Instantly, they became great friends and have since partnered-up for eight different films - De Niro has been nominated for an Academy Award for three of the roles (won for "Raging Bull"), while Scorsese garnered nominations for two. Robert De Niro is seen as one of the greatest living actors today, and has appeared in more quality films than most can dream of. In fact, in the book 1001 Movies You Must See Before You Die, De Niro is the most represented actor featured, with 14 different titles mentioned. So hit the jump as we try to narrow down his filmography and each try to come up with five of our favorites! Contently, I managed to narrow this list down to 11 different titles. Whittling it down to five from there was silly. There are so many staples left off of this list. I really tried to focus on the significance of De Niro's role in each film, and mostly, I just went with the films I'm going to want to watch more often than some of the others. I feel in no way like this is any sort of definitive list though. This has always kind of been my favorite mafia movie. I enjoy the tones much more than the Godfather movies, and I love all the actors and characters in this film. This never makes my favorite sports movies list just because it's so gritty and dramatic. The shots in it - especially with the fight scenes - are fantastic, and though I don't know much about the real Jake LaMotta, De Niro does a fantastic job of portraying this difficult character. What a gripping movie. I've never been more satisfied to see people killing other people in a movie than in this film. Great characters and an AMAZING ensemble cast. Film number three on this list directed by Martin Scorsese. These two have definitely had a great run together over the years. As for the film, I've always loved casino movies and the politics and stakes that go along with them. The fact that there was a time when casinos were actually run like this is really fascinating to me. We really needed to lighten the list up a bit after some of those heavy hitters. If you're looking for some De Niro comedy, this would be my go-to pick. Also, it makes great statements about our society that still hold pretty true today. Most of these titles, with the exception of "Goodfellas", play heavily on nostalgia for me. It hurt to leave some films off, but this guy has had an epic career. This is a gritty, violent, and powerful film. If you haven't seen it yet, watch it. Probably one of the best heist movies. Characters are well developed and the tension just doesn't let up until the credits roll. Under-appreciated gem. Creepy, with thick noir-ish sensibilities. You don't want to miss this thriller. This is ranked by how rockin' I think his performance is more so than how rockin' the movie is. There were a lot more films I wanted to put on this list than I thought there would be. I feel like those could really go in any order. One of the best stories about the power of friendship. Phenomenal all around cast. This is such a great cast, and I love De Niro's performance as a priest who holds the fate of all the people involved in the film in his hands. De Niro's performance in this movie was what really made this movie better than the original for me. As I'm watching the movie, every time it switches to the present day of the film, I would immediately start wishing they would switch back to De Niro's story. Of all the movies on my list, this is definitely the one I will go back and watch the most. The watchability is through the roof, I docked it a little because De Niro's role isn't as prominent. Even though I think "The Godfather, Part II" is the better overall film, "GoodFellas" is the more entertaining of the two. A great voodoo themed thriller. Robert De Niro consistantly delivers a certain type of character that is unmatched by any of his peers. It's generally when he strays from this though that he begins to fumble a bit. Check this one out - it's an interesting fantasy film and his character is....something else. So that's what we're looking at this week. Plenty of great variety, which in some ways isn't surprising given the amount of work De Niro has amassed over the years. Still though, seeing 17 different titles and very few repeat selections surprises me even for this actor; I almost expected to see the same seven or eight films circulate above. Don't get me wrong, I love seeing it and this is something we always hope will happen - the more titles we can offer you, the better informed and interested you'll be. That being said, there just isn't much repeat business to discuss this week. Three films led the way on these lists, and each tied for the most amount of votes with three apiece. "Goodfellas" (one first-place vote), "The Godfather: Part II" (two first-place votes), and "Taxi Driver" (one first-place vote) rose above the rest. This isn't much of a surprise considering that not only is De Niro's performance in each lauded, but the films in general are generally referred to as some of the best of all-time, some a bit more so than others. But no doubt that each of these are staples of De Niro's career and definitely worth a watch or two when embarking on your journey through this actor's filmography. Otherwise, we had two other films with two selections: "Sleepers" and "Angel Heart". Both offer different genre selections but pretty much stick within the gritty dramatic tones that De Niro has become so famous for throughout his career. But outside of those five films, they're all solo selections this week, so there's plenty featured above for you to dig your teeth into if you're not currently up-to-date with some of the greater works of De Niro has to offer. So as always, we hope that each of these film selections helps you to expand your knowledge of Robert De Niro's filmography, and leads to better and more enjoyable all-around viewing experiences. Shoot, how did I forget about Stardust. I honestly watch that more than any movie mentioned on this list. 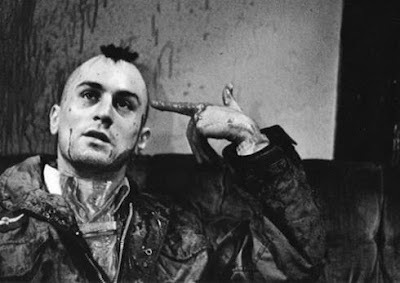 And I even love De Niro's character in the film. Failure on my part.